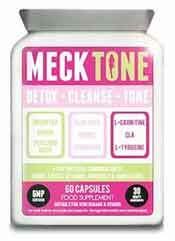 There have been a spate of new weight loss products that have been introduced on to the market in recent weeks with Mecktone being arguably the most colourful. 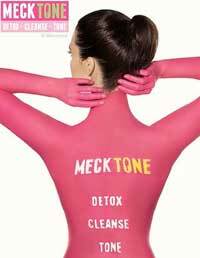 There is certainly no shortage of marketing hype with Mecktone taking its name from former TOWIE star Lucy Mecklenburgh. Lucy, voted bikini body of 2013 certainly has put her name to this product although how much she has had in the concept and design is up for interpretation. It is claimed to be a revolutionary product that can detox, cleanse and tone – the holy trinity as it were. It is a combination of many different natural ingredients: minerals and vitamins. So all in it appears on paper to be a must have. The ingredient mix is a blend of natural herbs, minerals and spices – this according to the official website. The website does not go into finer detail as to how the products actually works. We are told the proposed benefits without the how! Up until this point there is nothing ultimately wrong with Mecktone. Its well marketed albeit slightly overhyped – the ingredient list tends to undo everything that is positive. Although there is only natural ingredients included there is far too many ingredients – about 75% too many. If you can imagine a standard sized vegecap (or capsule) it contains a certain capacity. There has to be a minimum IU (International Unit) level for anything to be truly effective otherwise it gets diluted. The amounts are not shown on the official website – we are only hazarding a guess here, maybe its because there is only trace amounts of each ingredient. Some of the standout ingredients are: aloe vera, enugreek, cayenne pepper, green tea, green papaya, psyllium husk, peppermint and vitamins including B3, B5, B6 and Folic Acid. Cayenne pepper being the most interesting. Possibly its greatest feat its its entry into the market by way of the media. Having Lucy Mecklenburgh on board is an obvious positive. The tabloids have been a great help. It is available from the official website, it costs £22.99 for one bottle or you can sign up for a monthly or yearly subscription. 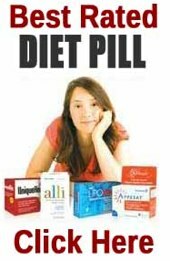 We cannot recommend on two fronts: firstly it contains too many ingredients, how can any one ingredient be effective when there are over 40. Secondly and even more worrying and problematic its the use of an auto-billing system. Auto-billing has a less than reputable reputation and is synonymous with some annoying customer service issues. 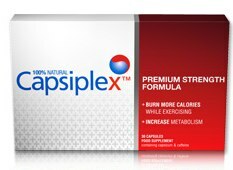 One ingredient that is listed as part of the Mecktone formula is cayenne pepper – this is none ingredient that forms the basis of Capsiplex. 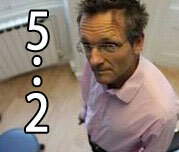 Capsiplex is highly respected and several pieces of clinical data attached to it – lacking in Mecktone it must be said. There is also a former soap star who found success with Capsiplex.